Researchers assessed the effect of physician education on time to diagnosis and referral to specialty care in patients with spondyloarthritis. 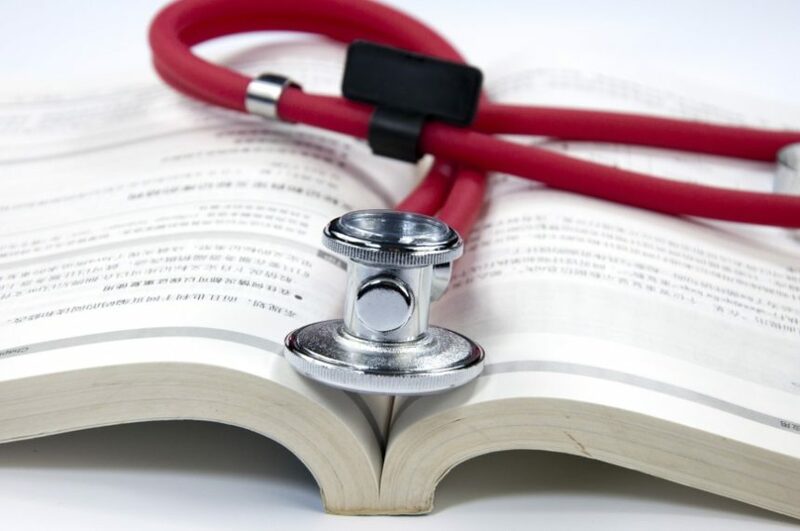 In a study published in Rheumatic and Musculoskeletal Disease, van Onna and colleagues evaluated the effect of physician education with a focus on SpA on time to disease diagnosis and referral to specialty care. The prospective, multicenter educational intervention study involved 68 general practice (GP) residents and their supervising attending physicians who were blinded to the study design and recruited at an academic medical center. The participants agreed to take part in an exercise involving diagnosis in standardized patients. The residents were each presented with 2 patients simulating axial SpA, 2 patients simulating peripheral SpA, and 1 patient simulating carpal tunnel syndrome (CTS). Half the residents served as the treatment arm and received SpA education during training sessions, with sessions taking place 3 months before and 3 months after the education training. Referral to a rheumatologist in situations in which a patient was simulating peripheral SpA was chosen as the primary end point, with recognition of peripheral SpA as indicated by the correct diagnosis of SpA or CTS and ordering of additional diagnostic tests. The identification of variables contributing to SpA or CTS was chosen as a secondary end point. The authors found that a significantly higher proportion of GP residents from the SpA education intervention group referred patients to the rheumatologist compared with the control group after education (change scores, axial SpA +71% vs +15% [P<.01]; peripheral SpA +48% vs 0% [P<.001]). Participants who received education also correctly diagnosed SpA more frequently compared with controls (change scores, axial SpA +50% vs -5% [P<.001]; peripheral SpA +21% vs 0% [P=.01]). It was concluded that physician education contributed to higher rates of referral to rheumatologists in situations when SpA was simulated. This study was limited by the absence of collected data about the clinical encounters between trained physicians and patients, so the study was not able to specify the exact physician-level factors that influenced improvements in diagnosis. The investigators also did not collect detailed information about physician demographics to examine background characteristics that may have an effect on intervention efforts. The patients also did not have easily recognizable SpA signs, like dactylitis, detectable on physical examination. Local and cultural factors influencing rate of referral to specialty care also would have to be examined more closely before applying these results to general populations. This study provides empirical support for the efficacy of physician education on diagnosis and referral to a rheumatologist for patients with suspected SpA. Multifaceted physician educational interventions should be considered throughout training and may take the form of interactive and didactic learning activities in multiple settings, including in continuing medical education (CME) credit settings. 1. Feldtkeller E, Bruckel J, Khan MA. Scientific contributions of ankylosing spondylitis patient advocacy groups. Curr Opin Rheumatol. 2000;12:239-247. 2. van Hoeven L, Luime J, Han H, et al. Identifying axial spondyloarthritis in Dutch primary care patients, ages 20-45 years, with chronic low back pain. Arthritis Care Res (Hoboken). 2014;66:446-453. 3. van den Berg R, Baraliakos X, Braun J, et al. First update of the current evidence for the management of ankylosing spondylitis with non-pharmacological treatment and non-biologic drugs: a systematic literature review for the ASAS/EULAR management recommendations in ankylosing spondylitis. Rheumatology (Oxford). 2012;51:1388-1396. 4. van Onna M, Gorter S, Maiburg B, Waagenaar G, van Tubergen A. Education improves referral of patients suspected of having spondyloarthritis by general practitioners: a study with unannounced standardised patients in daily practice. RMD Open. 2015;1(1):e000152. doi: 10.1136/rmdopen-2015-000152. eCollection 2015.